Serendipity Blackmagic / Megarip / Veripress 6.0+ adds the ability to add Comments to jobs in the QueueManager as a reference for users. to open pop-up allowing the user to enter or edit comments about the job. 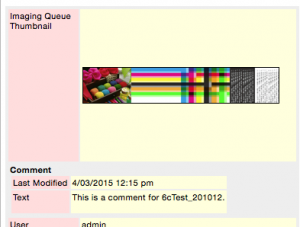 A Comments sort column option has been add to QueueManager. 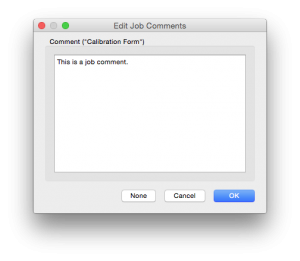 The column header, and the indicator as to whether a job contains a comment is a speech bubble icon. 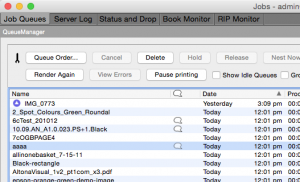 To add the column, select it from the Queuemanager View Options in the Sort Column Header contextual (right-click) menu. This entry was posted in Blackmagic, Megarip, Serendipity Client, Veripress and tagged Version 6.0+. Bookmark the permalink.